For nearly 11 decades, the businesses and homeowners throughout the Cleveland and Northeast Ohio region have been receiving the highest quality of heating, ventilation, air conditioning and plumbing services from W.F. Hann & Sons. Sustaining the long-established tradition of excellence, our company has been protecting the comfort, safety and flawless operation of the AC repair, AC installation and AC service since 1907. You can always count on us to make sure that homeowners and business owners receive the total AC service they deserve that will fix all breakdowns and boost all functions besides reducing both operational and ownership costs. Whenever Shaker Heights business owners or homeowners are searching for the best source of quality AC repair, potential AC installation needs or AC service. There is no doubt that whenever business owners and homeowners from Shaker Heights are seeking excellence in AC repair, AC installation or AC service, the only name they ever need to know is W.F. Hann & Sons. Situated in Cuyahoga County, Shaker Heights, Ohio has approximately 27,000 residents and it is only 5.5 miles northwest of W.F. Hann & Sons at 26401 Miles Road in Warrensville Heights. If you live in Shaker Heights and you are interested in getting a new AC installation or need AC service or AC repair done, then you want to reach out to one of W.F. Hann & Sons’ NATE (North American Technician Excellence) certified technicians. Our AC service specialists are celebrated for working in tandem with Shaker Heights businesses and homeowners to take care of all your AC needs. The W.F. Hann & Sons professionals have the talent and expertise to deliver Shakers Heights clientele with a better, cleaner and healthier environment, as well as ensuring that they can save both energy and money. Our business is devoted to delivering a healthier and more beneficial environment that not only will meet the expectations of our Shaker Heights clients but will regularly surpass them. With the high-tech knowledge and experience that W.F. Hann & Sons has, customers are assured of receiving the complex services, responsible engineering and unmatched product reliability they need. 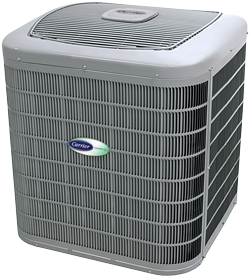 The requirements of our clients are our ultimate goal and we will always endeavor to customize all AC installation systems to specifically match those requirements. Moreover, we will ensure that our clients receive the comfort, efficiency and value they need. W.F. Hann & Sons AC service technicians are fully-insured and licensed in AC repair, AC installation and AC service, as well as being factory-trained before being sent into the field. You can always depend upon us to treat you respectfully and courteously. W.F. Hann & Sons will deliver the cutting-edge AC service you ought to have in your office and your home. For the comfort of your home and the smooth operation of your business, you can rely upon our technicians to make sure you will only get the quality workmanship for which is famous. Call W.F. Hann & Sons, today, at: (216) 831-4200 to schedule an appointment for AC repair, AC installation or AC service. In addition, we offer 24-hour emergency services for unexpected predicaments which may crop up when least expected.